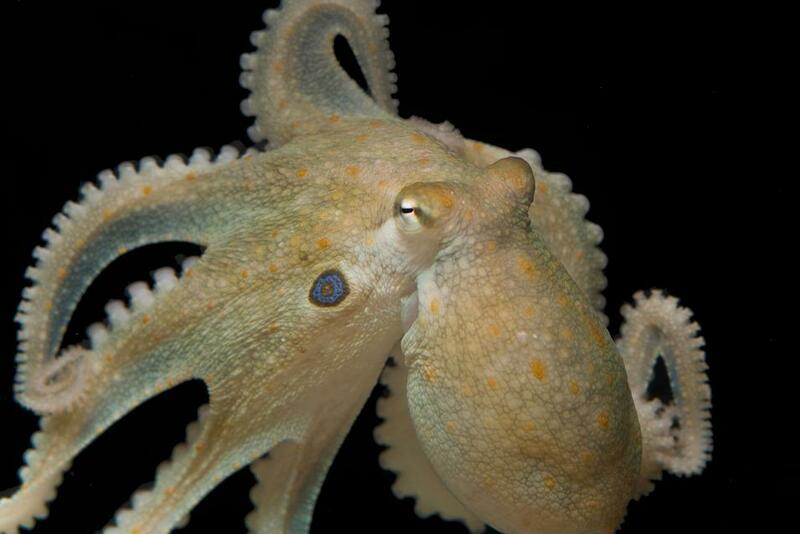 Octopuses, says Dölen, who is a member of the Kavli Neuroscience Discovery Institute at Hopkins, are well-known to be clever creatures. They can trick prey to come into their clutches, and Dölen says there is some evidence they also learn by observation and have episodic memory. The gelatinous invertebrates (animals without backbones) are further notorious for escaping from their tank, eating other animals’ food, eluding caretakers and sneaking around. Dölen says the experiments suggest that the brain circuits guiding social behavior in octopuses are present in normal conditions, but may be suppressed by natural or other circumstances. “Octopuses will suspend their antisocial behavior for mating, for example. Then, when they are done mating, they go into aggressive, asocial mode,” says Dolen.